We Can Make Your Glass Look Like NEW! Glass is beautiful, functional and versatile; specified by architects, designers and developers, it lets in light, promises clear vision and is easy to clean. Wonderful as it is however, glass does have some disadvantages. Just as unprotected metal rusts, unprotected glass degrades. 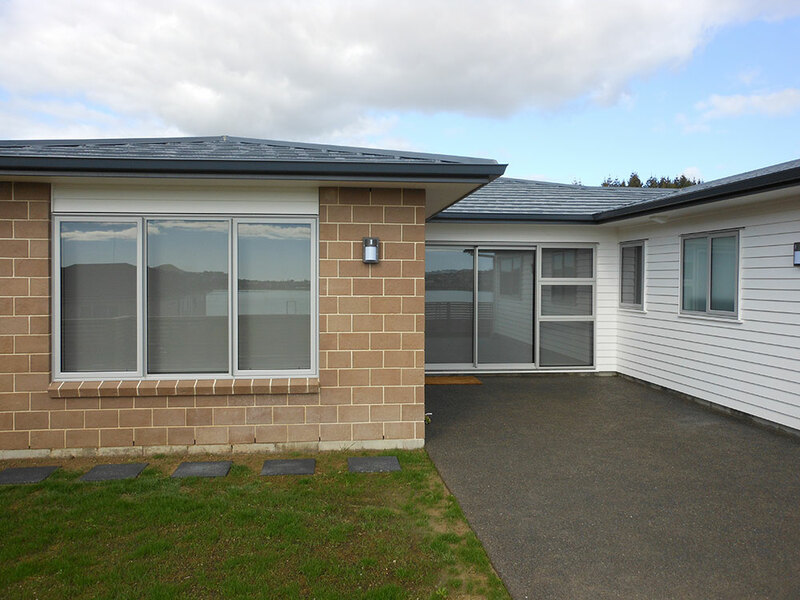 Atmospheric pollution, corrosion from humidity and other contaminants such as metal oxides, limescale and construction materials reduce the glass’ visibility and ruins its appearance. 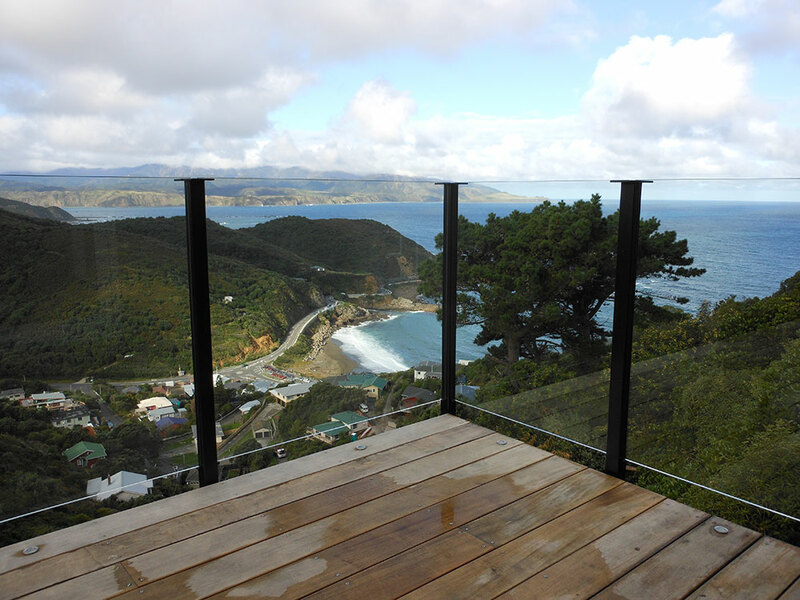 Cleaning costs escalate as time goes on and glass ages. 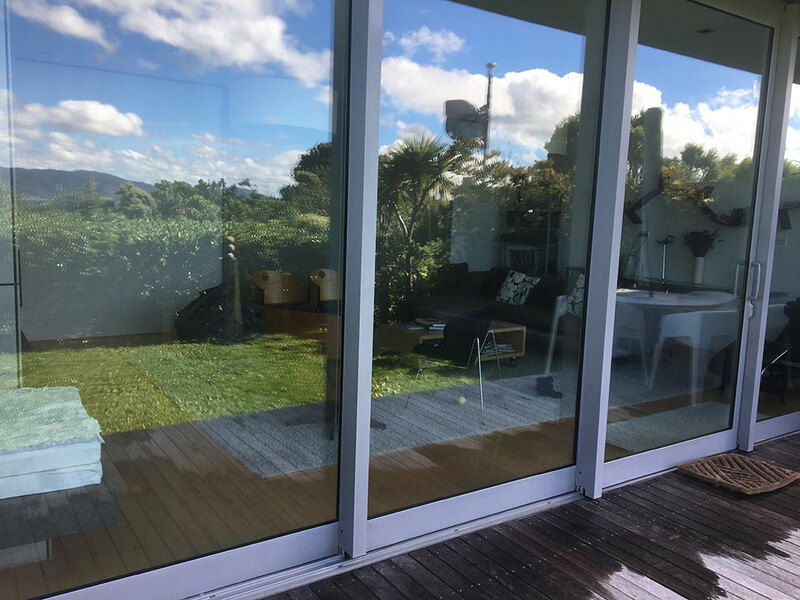 If you are looking for a qualified glass technician in your area to help you maintain or restore glass surfaces of any size, type or shape, at affordable rates, we can help dirt and grime removal specialists, restoring the glass in your residence to an ‘as new’ appearance. 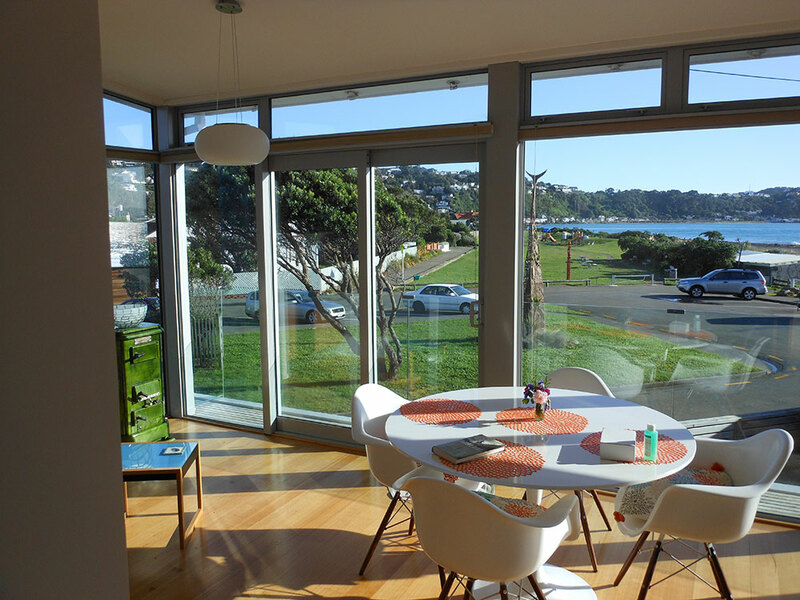 Interior glass, windows, splashbacks, mirrors, doors, balustrades, solar panels and car windscreens – we treat the lot. 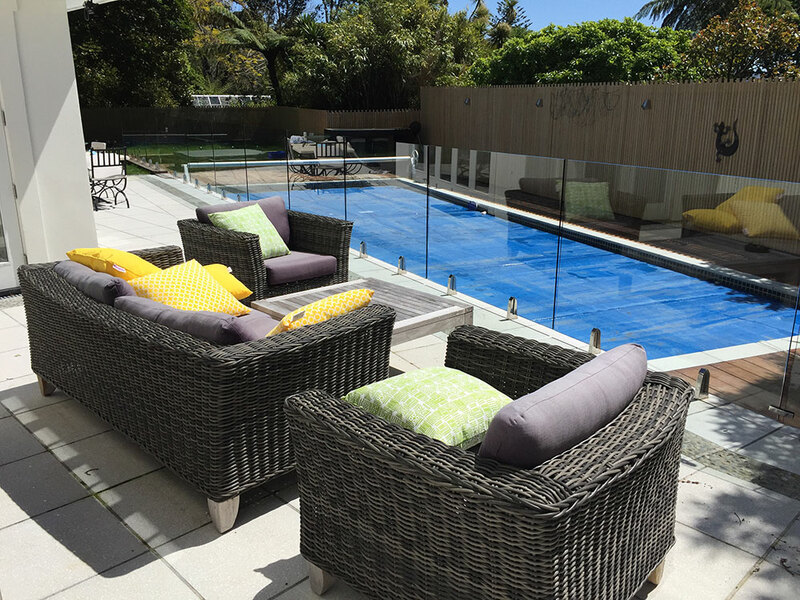 Our Glass Restoration Service was created to provide quality maintenance and restoration of existing glass of all types as a green alternative to glass replacement. Has Your Glass Become Discoloured or Stained? 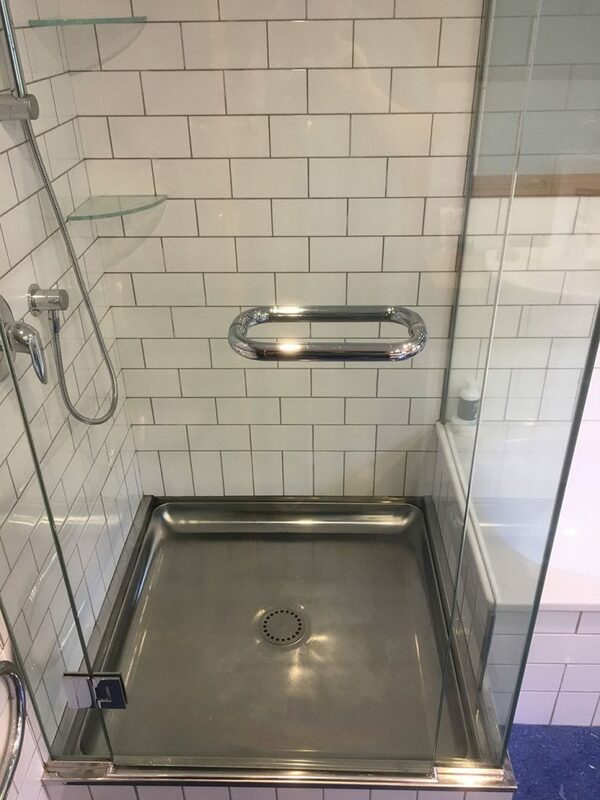 Did you know that glass is not completely smooth. Under a microscope, glass reveals a rougher surface made of peaks and potholes. Organic and inorganic contaminants often carried by water fill those potholes and react chemically with the glass, firmly bonding to its surface. As a result, glass easily becomes stained and discoloured. 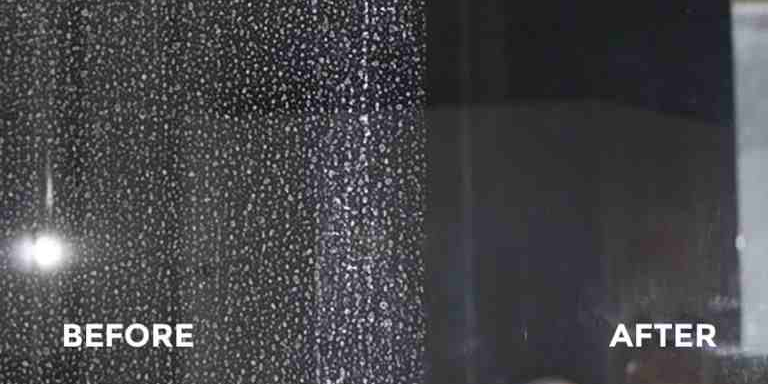 Hard Water Stains are the most common type of glass damage. They can appear as grey or white hazy stains with shape of water drips.Hard water stains occur anywhere water repeatedly splashes on the glass and the sun cakes the mineral deposits to the glass. This leaves a foggy-looking appearance on the glass and it can be very difficult to remove. The most common areas of Hard Water Stains are shower doors, windows located near irrigation sprinklers, seaside properties or areas of constant water dripping (for example, under the defected flashing or gutter joint). There are several DIY products that say they can remove light spots but if used incorrectly can permanently damage the glass. In most cases the stain may be permanent and have to be polished out by a glass repair specialist. Glass Oxidation occurs when metal screens or frames around windows are exposed to rain or humidity and deteriorate causing oxidation. These products of oxidation run down the windows and penetrate or cling to the glass. It’s appears as almost clear to grey hazy staining right below frames or metal elements on exterior of a building. Glass Protection with our special coatings can significantly reduce the probability of oxidation. Aggressive chemicals containing acid or alkali can significantly speed up cleaning procedures of the glass but if not used correctly they can also make even more damage. Acid or alkali products can only be used on some types of clear tempered glass, but otherwise are not recommended. Those chemicals react actively not only with contaminants but also with the glass causing intensive glass corrosion with staining called etching. Etching goes much deeper in the glass structure compared to hard water stains and oxidation. Therefore, removal of etching requires the same deep glass restoration process to Glass Scratch Removal. How to CLEAN, RESTORE & PROTECT Badly Discoloured or Stained Glass? There are generally 2 stages of severity of glass stains and corrosion. The deeper the corrosion is in the glass will determine how more severe the glass stain is. The more severe it is means it is then more difficult to restore the glass back to its original clarity. Glass stain (corrosion) close to the surface is Stage 1, deeper in glass structure is Stage 2. Chemical removal is based on idea of dissolving contaminants and their bonds with glass by more aggressive chemical reagent as acid or alkali. Glass polishing allows to mechanically remove contaminants and flatten back glass surface. 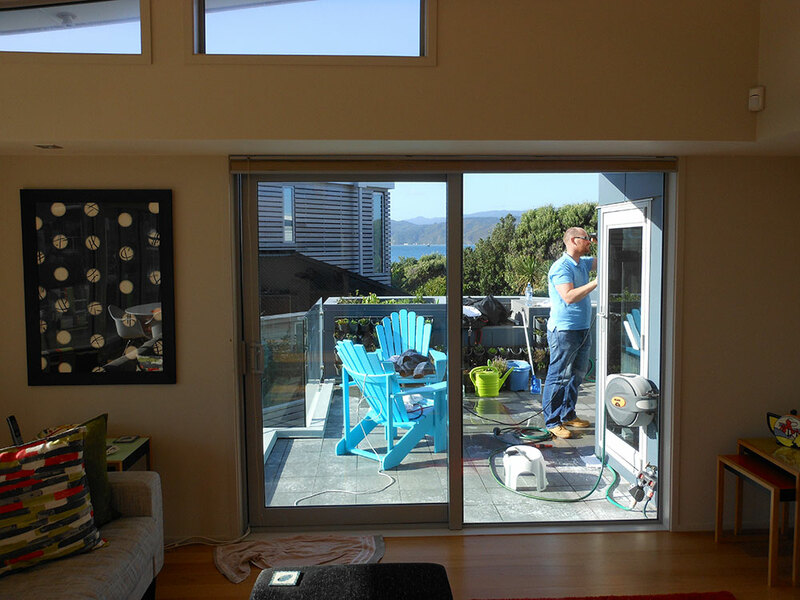 Restoration Is An Effective Solution For 95% Of All Glass Staining Problems. 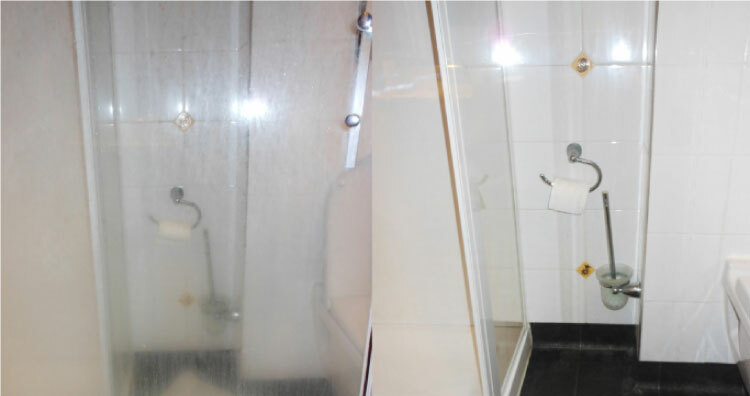 Canny specialises at glass restoration and stain removal. Our experience and equipment allow us to achieve great results at a reasonable price. 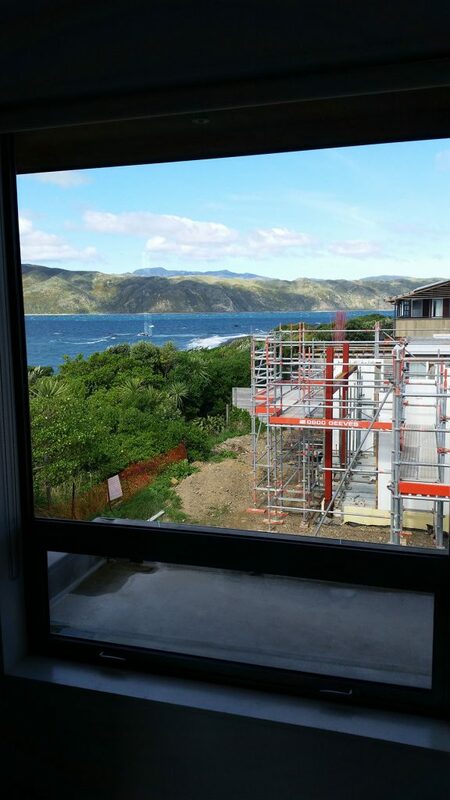 We work with any size of project from apartments to multi-storey office buildings. Is Your Glass Scratched or Damaged? Scratches in your glass can not only be frustrating but can also spoil its appearance. Although scratches can happen very easily it’s not quite as easy to repair them. It’s always better to leave the repair to the experts who have the relevant experience. We have all the tools to solve your problem and return your glass back to its original glory. 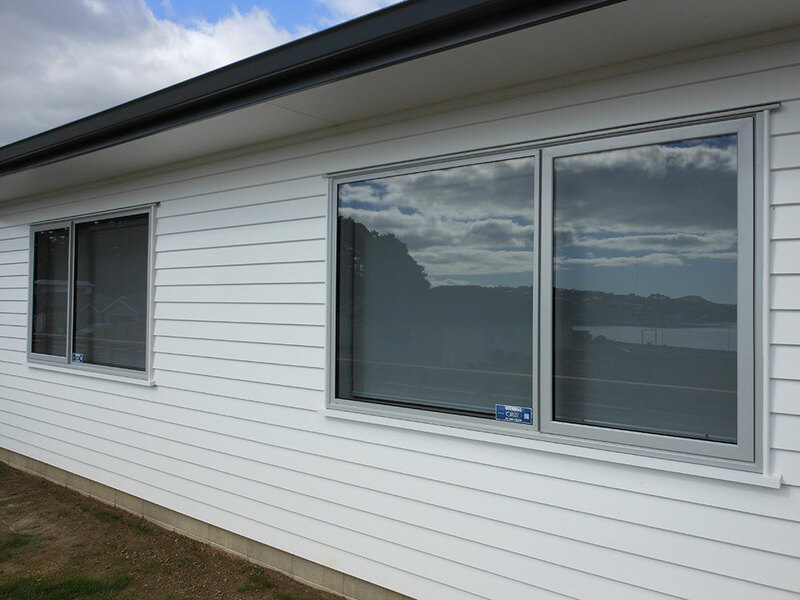 On average Glass Scratch Removal costs about 20-30% of the replacement cost and takes 5-10 times less time depending on the size of a pane and the damage. So it helps you to save money and time whilst having the same result. 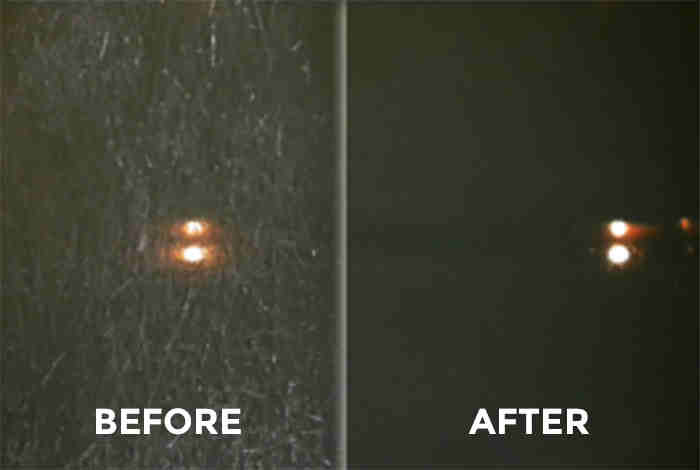 We use the proven and certified Glass Renu system for glass damage removal. GlassRenu™ is the world’s leading scratch removal system, the simplified three step grinding/polishing process removes not only scratches but also acid etch, builders’ damage and hard water stains from most types of glass. Damage can be classified into four main categories, based on severity. These are minor, moderate, heavy, and extreme. Minor damage: the kind which you cannot hang a fingernail in, and is often the result of glass on glass rubbing, as well as sand paper scuffmarks. Moderate damage: is substantial enough to catch your nail, but not enough to hang the edge. This can be the result of razor blade cuts or sand erosion. Heavy damage: can be felt under the touch of a finger, and is easily visible to the naked eye. This kind of damage is often the result of pet scratches or dragging from moving furniture. Extreme damage: is severe, the kind which you can easily hang your fingernail in, and can be viewed on the glass at some distance. Graffiti is often the cause of this type of damage. How To REPAIR Your Scratched or Damaged Glass? Glass Polishing is a mechanical process using special compounds, polishing pads and heat on the glass. 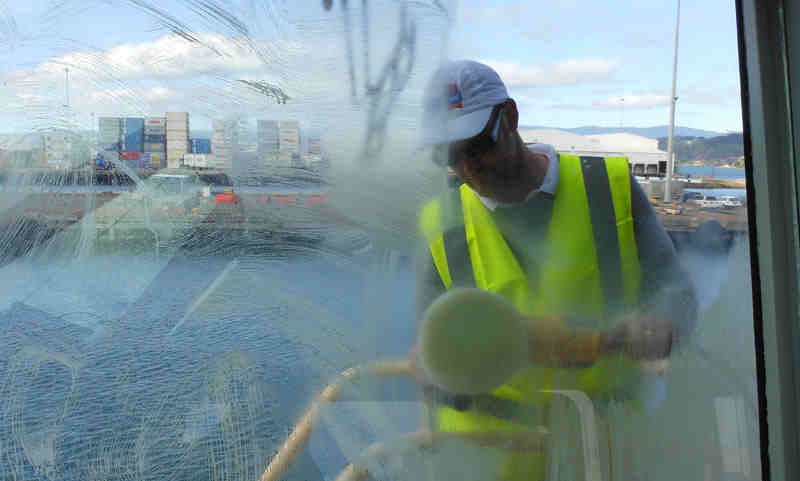 Glass polishing is very effective for removal of minor and medium scratches without any distortion. 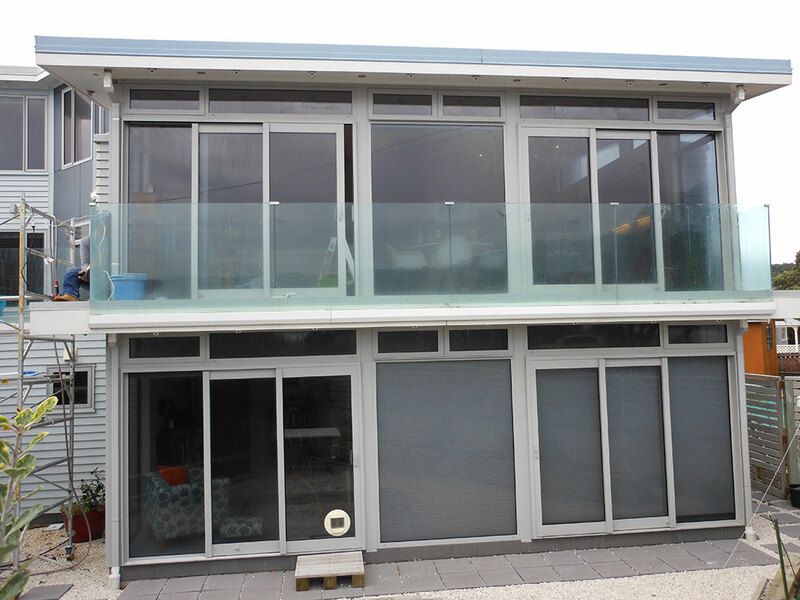 Glass Abrasion is a process of glass surface abrading till scratch bottom is reached. The polishing process is then followed to complete the job. Glass abrasion of heavy and extreme damage can cause distortion on the glass. Approximate price range: $120-$480/pane depending on size and type of damage. We will be glad to provide you with a Free and Fast Estimation and a Great Service! 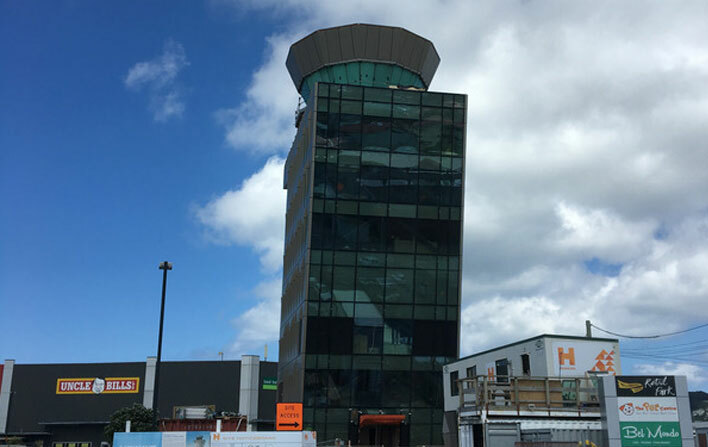 The Wellington Control Tower controls all air movements across 30 million square kilometres of airspace across New Zealand and the Pacific, handling over 1 million air traffic movements a year. 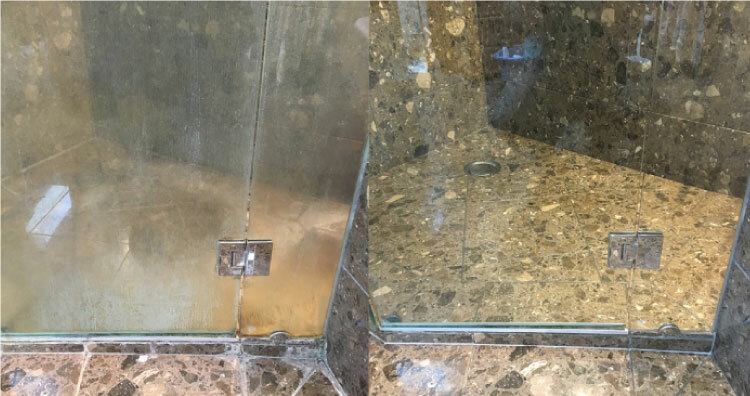 This product is awesome, on a job with two heavily contaminated glass shower doors, that other product on the consumer market would restore as successfully as ClearShield.